Looking for a quality and affordable BBB Accredited Business contractor for your next project? 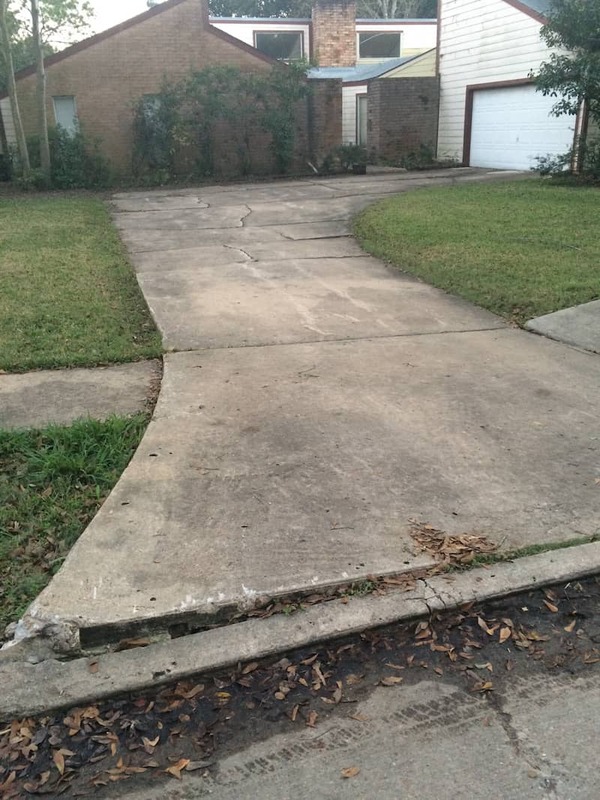 Get the results that you deserve when you ask for help from a top Houston, TX, concrete contractor. Cross Construction Services can visit your location and offer a free estimate about your remodeling plans or driveway repair. Our punctual and professional team will deliver a quote covering everything required to deliver your project on time and on budget. We offer fast help with HOA approvals, and we handle all the fees. treated wood or redwood expansion joint depending on your municipality. rebar on risers ( spacing and size according to customers municipality. We pour 3000 PSI concrete with a 5 1/2 sack mix 4 inches thick on driveways, sidewalks, patios, and 6 inches thick on approaches. 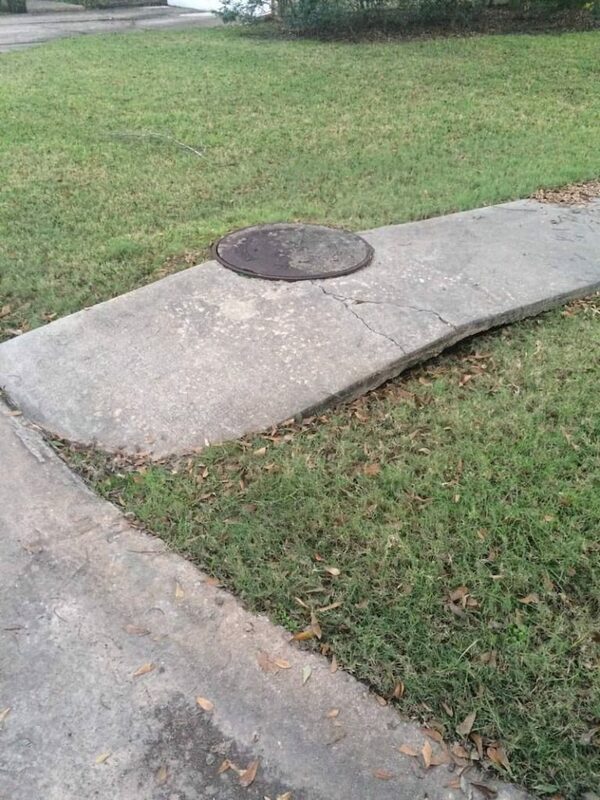 All work done to city code. We brush and picture frame each section at no charge. Cross Construction Services aims to deliver every project on a prompt schedule so you can spend more time enjoying your new home and less time worrying about the mess caused by remodelers. 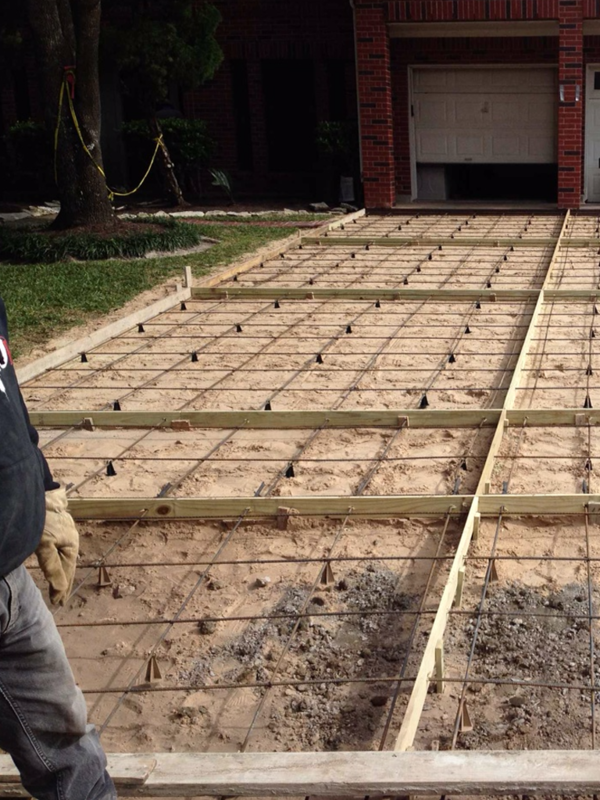 We're a Houston, TX, general contractor that offers a one-year labor and materials guarantee for every job we do. Talk to our knowledgeable staff members today to learn more about the services we provide. 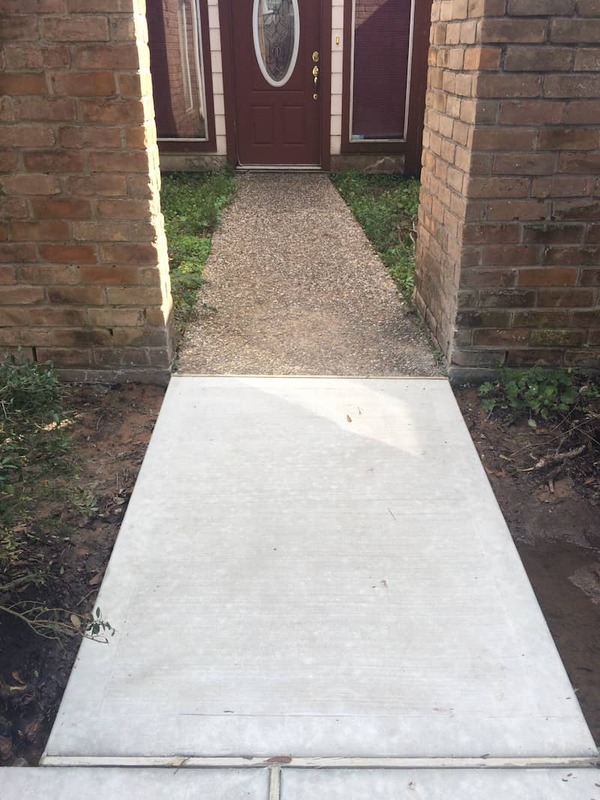 Cross Construction Services is a Concrete Driveway Contractor Houston, TX Because concrete is so versatile, durable, and easy to maintain, it’s a natural choice for residential and commercial driveways. 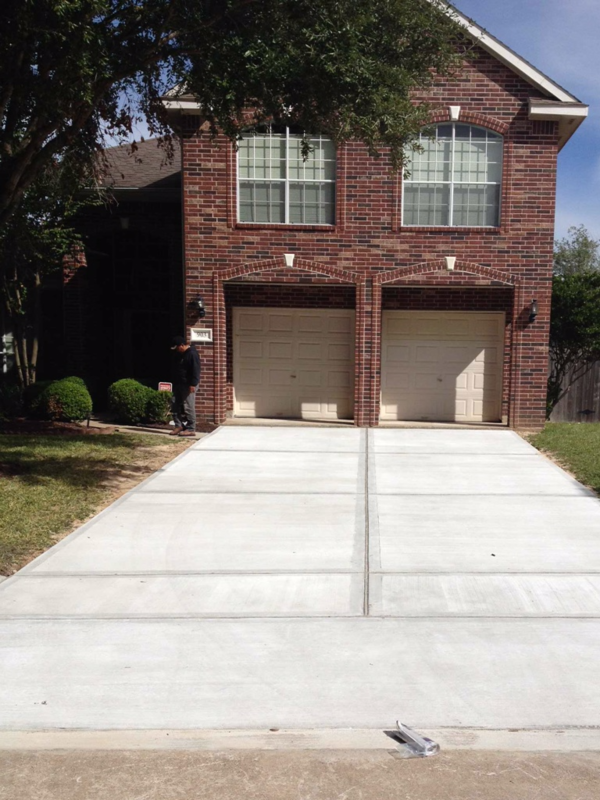 A concrete driveway indicates quality construction from the first glance at your property’s exterior. 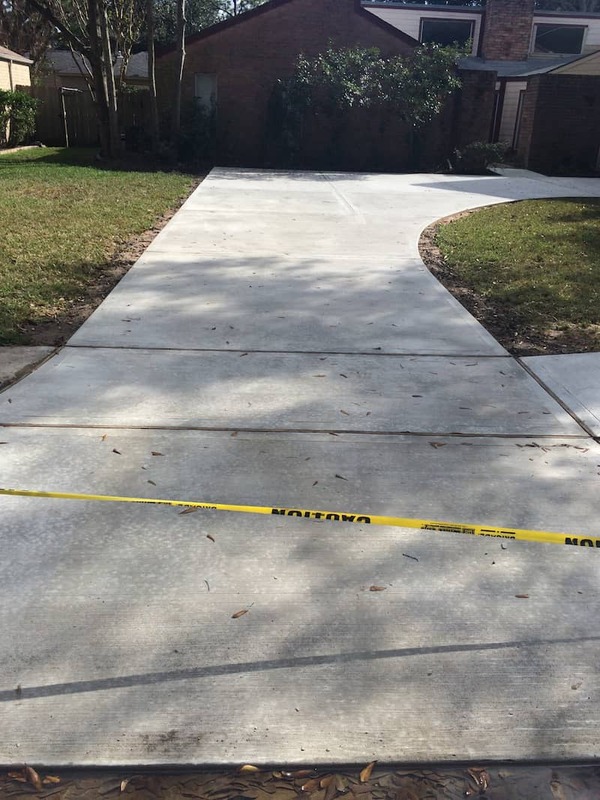 Cross Construction Services Provides Various Concrete Services Concrete is strong, durable, versatile and affordable–ideal for nearly any kind of exterior surface. 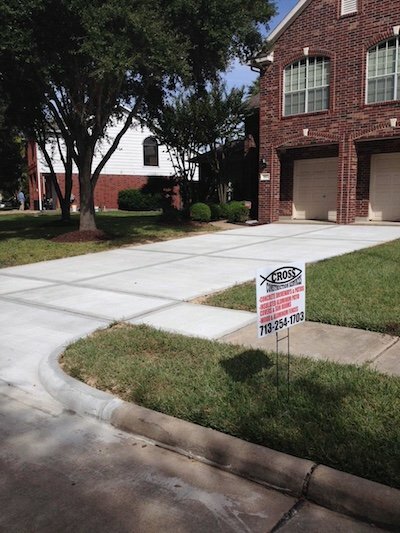 If a concrete project is on your to-do list, consult the professionals at Cross Construction Services. For us, honesty is the only policy and we strive to complete all projects with integrity, not just with our clients, but also our suppliers and contractors. 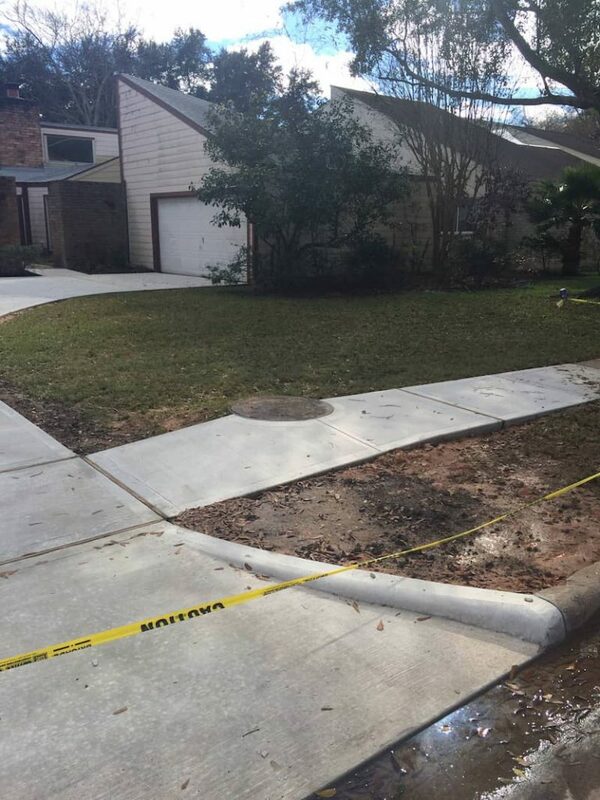 With thousands of successful projects under our belt, we are one of the most trusted construction companies in Houston. Cross Construction Services meets BBB accreditation standards, which include a commitment to make a good faith effort to resolve any consumer complaints. BBB Accredited Businesses pay a fee for accreditation review/monitoring and for support of BBB services to the public. 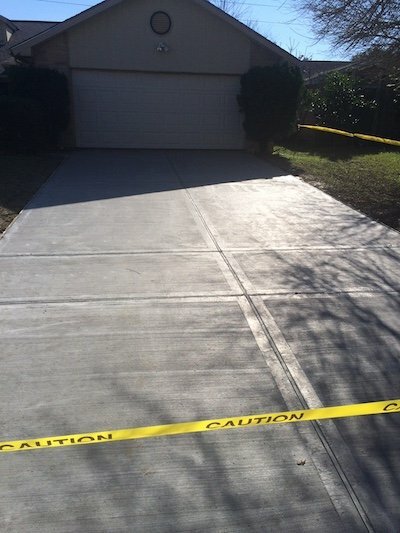 We have over 30 years of experience in concrete construction for concrete driveways and patios. We’re a family owned business serving Houston, Texas and surrounding areas. Our team is led by the experts in concrete construction business. We are available 24 hours a day, 7 days a week to help you solve your concrete needs. We have a simple philosophy – Solve a customer’s concrete problem with a simple, straightforward, economical solution. Get the results that you deserve when you ask for help from a top Houston, TX, general contractor. A contractor from Cross Construction Services can visit your location and offer a free consultation about your remodeling plans. Our punctual and professional team will deliver a quote covering everything required to deliver your project on time and on budget. We offer help with HOA approvals, and we handle all the fees. 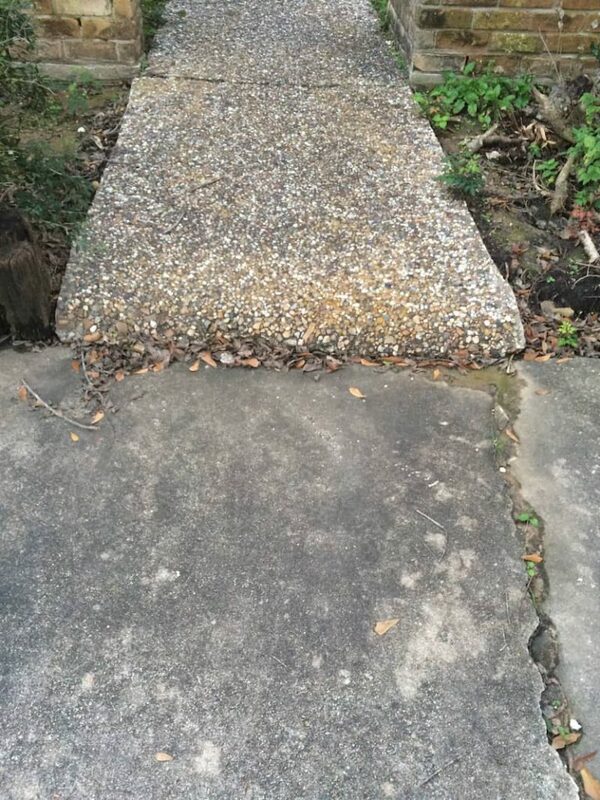 Thank you for an awesome job installing our new driveway. The result, professionalism and timeliness was impressive. Their price to add our patio was very reasonable, their service was exceptional. It was a pleasure to work with Clayton and the crew at Cross Construction, I would use them again on my next project. I have the comfort to know that it will be done professionally.